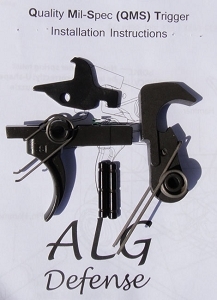 *The ALG Defense ACT trigger pull is smoother and sharper than a stock trigger. 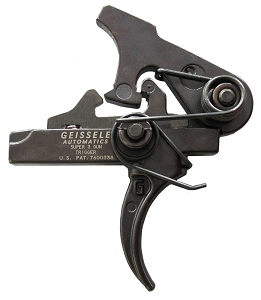 Thit is accomplished by polishing the sear surfaces smooth and HardLubing the trigger components. 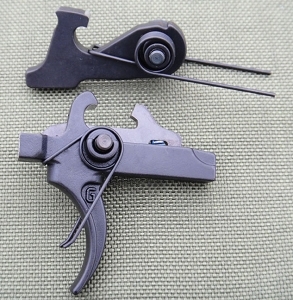 *Sear geometry has not been changed from the standard profile so the high reliability that the stock trigger is known for is unchanged. 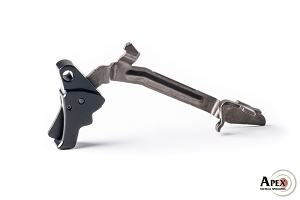 *Trigger and hammer are made from true 8620 alloy steel military specification castings, correctly carburized, quenched and tempered for high surface hardness. 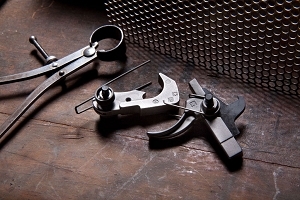 *Disconnector is 1070 High Carbon steel properly Austempered into the spring range of hardness. 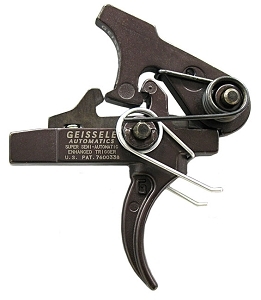 *Springs are corrosion resistant and meet military specifications. 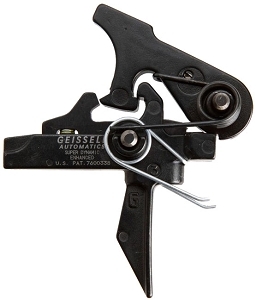 *A full force hammer spring is used for positive ignition of all type of ammunition. 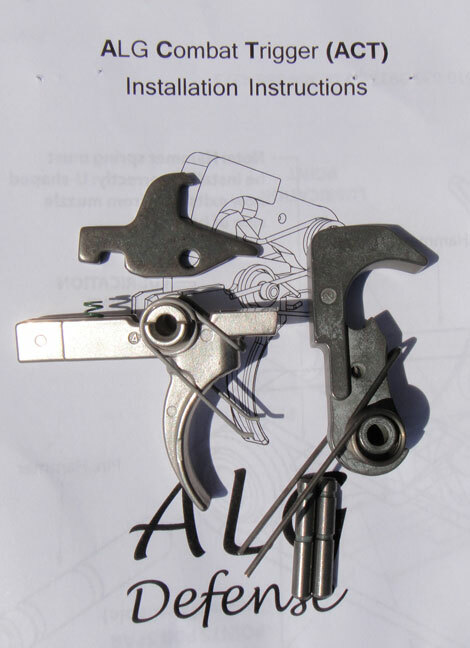 *Trigger and hammer pins are improved over stock mild steel by using 4140 Chrome-Moly steel that has been quenched and tempered. 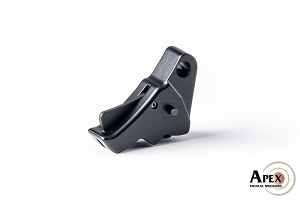 Pins are centerless ground to a fine finish and a diameter 0.001h larger than stock to reduce play in the trigger assembly while retaining a slip fit into the weapon lower receiver. Both pins are Nickel-Teflon coated. *Pull weight is above the U.S. Military minimum pull weight of 5.5lbs but does not reach near the upper limit of 9.5lbs. Generally, the pull weight is about 6.0lbs. *The ALG Defense ACT trigger is an enhanced standard trigger so maintenance and installation procedures are unchanged. 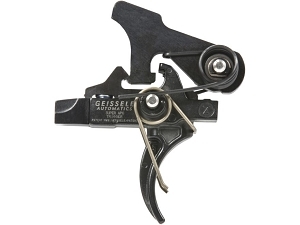 *Trigger assembly parts may be interchanged between triggers, there are no matched sets. 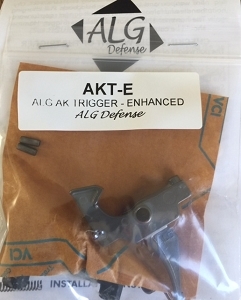 *As a trigger meeting the essential U.S. Military trigger specifications for the M4 Carbine, the ALG Defense ACT can be substituted for lower performing stock triggers while still staying in compliance with Unit or Departmental requirements.